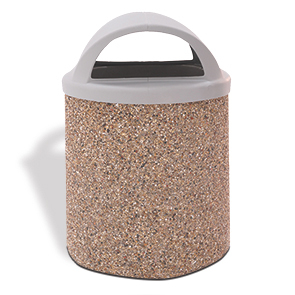 Ideally sized, this 42 gallon trash receptacle is constructed with commercial grade precast concrete, reinforced with steel rebar—for added strength and stability. 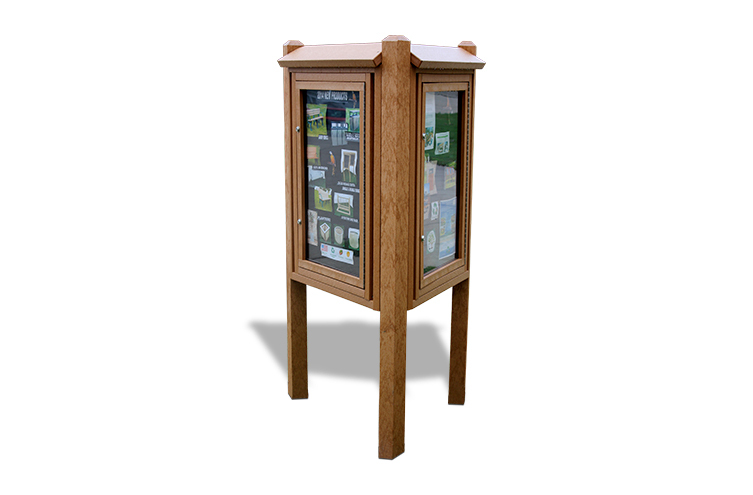 The eye catching 2-way dome lid helps the receptacle get noticed and promote litter free areas. Designed to provide easy opportunities to dispose of waste the sturdy 2-way opening dome style lid also dissuades the placement of debris on top of the lid. Constructed from superiorly resilient polyethylene, this lid will not chip, dent, rust or corrode and can be wiped clean with simple soap and water. The dome lid fits snuggly to the receptacle but is a snap to remove for servicing.